We are very excited to welcome Michael Costello back to Fashion Week El Paseo on March 20, 2018. Fashion was something that came naturally to Michael — from starting at the age of two by drawing dresses on his bedroom walls to opening his first store at the age of 15 at 286 North Palm Canyon Drive in Palm Springs. It was at his first store in Palm Springs where Michael started making custom pieces and cultivating relationships with celebrities including Céline Dion, Toni Braxton, Barry Manilow, Suzanne Somers, Faye Dunaway, Florence Henderson, and more. In 2010, Michael appeared on the 8th season of Project Runway. Costello placed 4th place and was a fan favorite, becoming best friends with fellow contestant Mondo Guerra. In 2012, Costello competed as part of Project Runway All Stars and finished as the 2nd runner up. On January 26, 2014, Michael Costello garnered nationwide attention by dressing Beyoncé for the 56th Annual Grammy Awards, where she took home 3 Grammy wins. The iconic white lace dress became one of the most recognizable dresses in the history of the Grammys and Costello credits that moment as the turning-point of his career. Since then, Costello has become one of Beyoncé’s top go-to designers and has continuously dressed her for On the Run Tour, The Mrs. Carter Show World Tour, Grammy-sponsored Stevie Wonder tribute, the Wearable Art Gala at the California African American Museum, and more. On February 15, 2016, Michael Costello dressed Meghan Trainor at the Grammys, who won “Best New Artist” of the year. Michael Costello’s designs for Beyoncé, Meghan Trainor, Tamar Braxton, Alicia Keys, Maren Morris, and more are on display at the Grammy Museum at L.A. Live. In 2016, Michael Costello collaborated with award-winning custom designer Lou Eyrich to design gowns for Lady Gaga for American Horror Story, leading up to the team’s Primetime Emmy Award win for Outstanding Costumes For a Contemporary Series, Limited Series or Movie. On July 12, 2016, Michael Costello appeared on Good Morning America and won a nationwide fashion challenge. The following day, he worked with Kim Kardashian in creating a red carpet dress for the ESPY Awards. The styling session was filmed for E! Entertainment Television’s Keeping Up With the Kardashians. 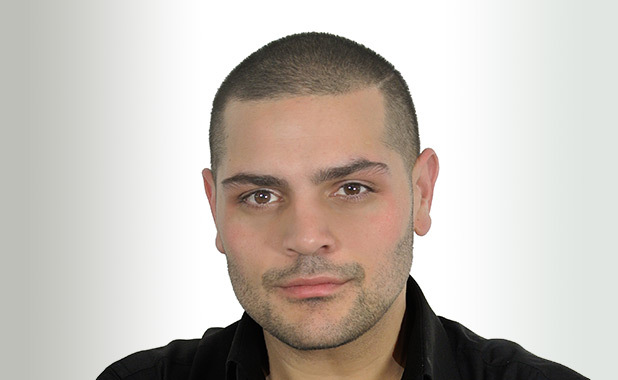 Michael Costello has appeared as a fashion guest for television shows like Wendy, Steve Harvey Show, Good Day LA, Good Day NY, and more. On March 18, 2017, Michael Costello received a star on the Palm Springs Walk of Stars. The presentation was held by Mayor Robert Moon, who also gave Costello the key to the City of Palm Springs and declared March 18 as the “Michael Costello Day.” On March 21st, Palm Desert’s Mayor Jan Harnik of Rancho Mirage, presented him the key to the city in honor of the support he has given to Fashion Week El Paseo by producing the annual Project Runway Show that includes Costello and Project Runway Alumna.